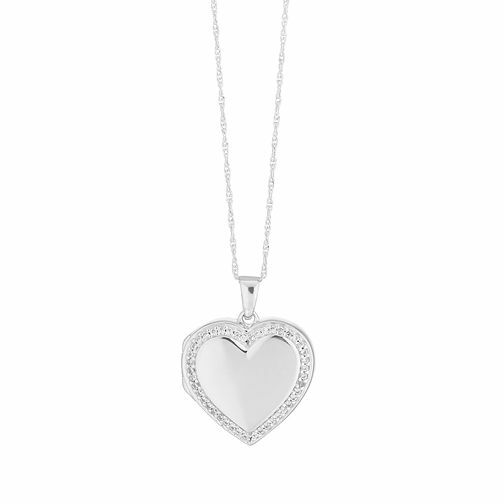 Enhance your effortless style with this silver heart shaped locket from H.Samuel. Beautifully suspended on a classic chain, this locket is framed by delicate cubic zirconia, adding a unique sparkle to your everyday looks. Please note this locket is sterling silver with a metal catch.